Shreya Ghoshal(born 12 March 1984)is an Indian playback singer. She has received four National Film Awards, six Filmfare awards including five for Best Playback Singer awards, nine Filmfare awards South, three Kerala State Fil awards and two Tamil Nadu Start Film awards. She has recorded songs for film music and albums in various Indian languages and has established herself as a leading playback singer of Indian cinema. 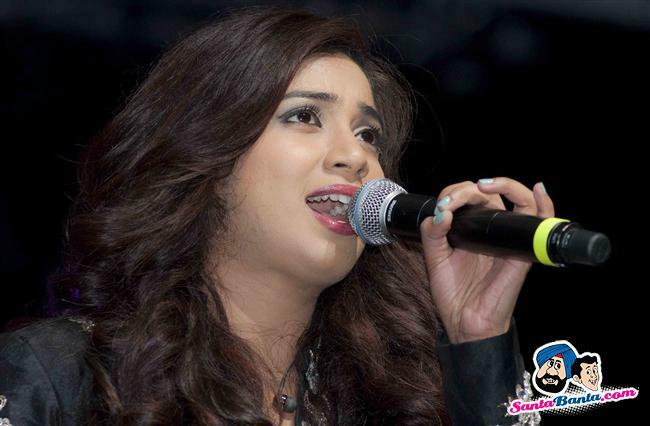 Ghoshal aspired to become a playback singer from an early age. At the age of four, she started learning music. At the age of six, she started her formal training in classical music. At the age of sixteen, she was noticed by film-maker Sanjay Leela Bansali when she entered and won the television singing reality show Sa Re Ga Ma Pa. Following that, she made her Bollywood playback singing debut with Bhansali’s romantic drama Devdas(2002) for which she received a Nationa Film Award. Apart from playback singing, Ghoshal has appeared as a judge on several television reality shows and she also appears in music videos. She performs in musical concerts around the world. She has been honored by U.S. State of Ohio where Gov. Ted Strickland declared 26 June 2010 as “Shreya Ghoshal Day”.